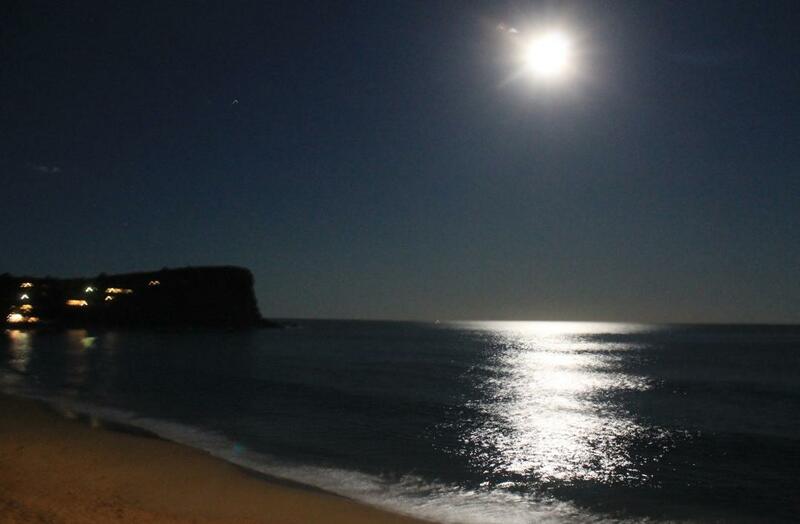 Blue moon over Avalon Beach, Friday July 31st, 2015 - a Blue Moon ocurs when it is the second full moon within one month - A J Guesdon photo. A migrating Southern Right Whale delighting Sydney sider’s over the past week has also prompted authorities to remind people to observe distance regulations for their own safety and that of the whale. National Parks and Wildlife Service (NPWS) Regional Manager Peter Hay said a pod of fifteen orcas was also sighted off Cape Solander, Kurnell yesterday (27/07), in another uncommon but exciting addition to the winter whale watching season. “Generally Sydney-siders have been great but it’s a timely reminder that all vessels, including surfboards, must not approach within 100 metres of a whale, and that triples to 300 metres if a calf is present,” Mr Hay said. “We share everyone’s excitement at getting such a unique experience so close to the shore but it’s important to reinforce that sea kayakers, paddle boarders and surfers are bound by the same regulations as apply to people in motorised vessels. “Swimmers cannot approach within 30 metres however, it is not recommend people enter the water near whales - they are gentle giants but at 65 tonnes it is best to keep a safe distance. “As we have seen when a surfer was taken to hospital after being struck by a southern right whale at Bondi Beach in the past, whales need space and can react without warning. Southern right whales are one of the rarest of the large whales with a total population estimated at around 5000 animals. Southern right whales breed at a much slower rate than humpback whales. Less than a dozen southern right whales are recorded off the NSW coast each year which may include one or two births. “Orca, sometimes called the wolves of the sea, are the ocean’s top predator and often follow the migration,” Mr Hay said. Sydney is blessed with many fantastic land-based whale watching options and whale watching from a good headland often yields some amazing experiences especially when we have whales such as this Southern Right really taking up home here for weeks at a time off the Sydney coast. Mr Hay encouraged people to share their whale sightings, tweet with the hashtag #whaleon to @WildAboutWhales or log the sighting using the free app so others in the area can view the animal and track its movements. NPWS reminds people that whales are wild animals that sometimes choose to visit or stay in and around our harbours for weeks at a time. While NPWS and ORRCA will monitor them during that time they will eventually leave at their own free will, and hopefully return next year. Report any entangled or distressed marine mammals to the NPWS on 1300 361 967 and the Organisation for the Rescue and Research of Cetaceans in Australia (ORRCA) on 9415 3333. Received July 27, 2015 - After concluding the regional consultation meetings around Australia during February, March and April and following our last update on 19 May, the Bioregional Advisory Panels (BAPs) have been giving in depth consideration to all of the input received from those meetings, the past and present submissions, and online survey responses to the Review. Some of the issues raised with the panels through the regional consultation meetings and in some submissions were outside our terms of reference, such as proposals for new reserves, or the relocation of some reserves. The information we have received and considered has enabled the BAPs to better define areas of contention that can be addressed by zoning changes. We have worked closely with the BAPs to develop zoning options to address areas of contention, and consider those solutions suggested by stakeholders, with the aim of improving protection of the marine environment while minimising impacts on stakeholders. We have not, however, been able to address all the issues raised with us. We also heard strong views to retain the current zoning for some reserves as it represented a reasonable balance of interests. The two of us are now holding targeted meetings with key stakeholders to road test these options. These meetings are being arranged in each of the five regions and also with relevant national-level stakeholders. The aim of these meetings is to identify any issues that may require us to further refine our recommended options before finalising our report to the Government. We will be continuing to evaluate our options regarding the extent to which they improve conservation and/or socio-economic outcomes, and for user and management ease. We aim to make the more than 13000 submissions we received available on the Review website (once they are redacted in line with requirements under the Privacy Act 1988). This has been a massive task and we regret it has taken so long to complete. The Bioregional Advisory Panel members have done a fantastic job identifying and engaging with stakeholders in each region and we would like to thank them for these efforts. We have started drafting our report and we are moving to finalise our thinking from the final consultations and with the advice we receive from the Expert Scientific Panel. We understand the importance to many stakeholders of completing our Review quickly in order to allow the Government to consider the recommendations and start the process of developing management plans to provide the certainty many stakeholders are seeking. As such we are working hard to deliver our reports to the Government as soon as possible. July 29, 2015 - University of Adelaide research has shown for the first time that, despite not having a nervous system, plants use signals normally associated with animals when they encounter stress. Published in the journal Nature Communications, the researchers at the Australian Research Council (ARC) Centre of Excellence in Plant Energy Biology reported how plants respond to their environment with a similar combination of chemical and electrical responses to animals, but through machinery that is specific to plants. "The major stresses agricultural crops face like pathogens and poor environmental conditions account for most yield losses around the planet -- and consequently food shortages," says co-lead author Professor Stephen Tyerman. Despite a similar function, the proteins that bind GABA and their mammalian counterparts only resemble each other in the region where they interact with the neurotransmitter -- the rest of the protein looks quite different. 28 Jul 2015 - Anglers are reminded the annual three month fishing closure of the Mann and Nymboida Rivers and their tributaries comes into effect this weekend, 1 August to 31 October 2015. Department of Primary Industries (DPI) District Fisheries Officer, Mr Joe Wright said all fishing in the specified area is prohibited to enable the endangered Eastern Freshwater Cod to spawn uninterrupted during its breeding season. "The Mann-Nymboida sub catchment of the Clarence River has the only known, remaining wild, naturally reproducing population of Eastern Freshwater Cod," Mr Wright said. "This endangered species is particularly vulnerable to fishing activity during their breeding season due to the fact that the brooding male fish aggressively guard their eggs and larvae from predators, until they are old enough to fend for themselves." Mr Wright said even if an angler were to unintentionally catch one and immediately release it after capture, the short period of separation from the nest site could enable other predatory fish and animals to raid the nest and destroy the entire brood. "There are a number of factors that threaten their long-term survival including; loss of genetic variation, inbreeding, loss of instream habitat, removal of riverside vegetation, pollution, and of course illegal fishing," Mr Wright said. The closed waters include the Mann River and all of its tributaries upstream of its junction with the Clarence River (which includes the Boyd, Sara and Guy Fawkes Rivers) and the Nymboida River and all of its tributaries from its junction with the Mann River upstream to Platypus Flat. The closure does not apply to notified trout waters, which are regulated separately. Fisheries Officers from Inverell, Maclean and Coffs Harbour will be joining forces to conduct regular patrols of the closure area to detect and deter any illegal activity. "It is prohibited to engage in any form of fishing activity or to possess any fishing gear in, on or adjacent to waterways that exist within the closure area," Mr Wright said. "Offenders, face on-the-spot fines of $500 with maximum penalties of up to $44,000 and/ or 12 months imprisonment upon prosecution. "As a result of their endangered status, Eastern Freshwater Cod are totally protected throughout NSW regardless of where they may be found, it is illegal to target, take or possess them at any time." July 28, 2015 - Australia has one of the highest rates of animal species that face extinction, decline or negative impacts from human behavior in the world. However, over the last decade, there have been rare occurrences of animals that are rebounding and thriving. One example is the conservation success story of the recovery of the humpback whales that breed in both East and West Australian waters. This new study, published in Marine Policy and led by Dr. Michelle Bejder, reviews data collected in past studies and proposes a revision of the conservation status for the humpback whales found in Australian waters. In Australia, the east and west coast humpback whale populations are listed as a threatened species with a 'vulnerable' status as defined by the Environment Protection and Biodiversity Conservation Act 1999 (EPBC Act). However, according to Professor Lars Bejder at Murdoch University Australia, School of Veterinary and Life Sciences and his international co-authors, data reveals that these whale populations are increasing at remarkable rates (9% for West Coast and 10% for East Coast; as of 2012), the highest documented worldwide. As of 2012, both the East and West Coast whale populations had more than 63% (East Coast) and 90% (West Coast) of the number of whales estimated in each population before the whaling era (approximately 1912-1972). Since humpback whales no longer fulfil the criteria of the EPBC Act, the study suggests, they should have their conservation status revised. "Our conclusions serve as an example of optimism and hope in the conservation of marine fauna protection, as the relentless communication of marine conservation problems does not always encourage politicians, policy makers, and the public to solve them," said Prof. Bejder. "We highlight a success story, which provides hope and optimism that ongoing conservation actions can prevail." Should humpback whales be removed from the threatened species list, a direct consequence for conservation biology could be the redirection of research and management funding to enhance the survival of other species and ecosystems that are in greater risk of extinction. Furthermore should removal or downlisting occur, the whales would still be protected in Australian waters as a Matter of National Environmental Significance, because they are considered migratory species. On the international level, the International Whaling Commission manages the global moratorium on commercial whaling, which is essential to maintain the humpback whales' successful recovery. 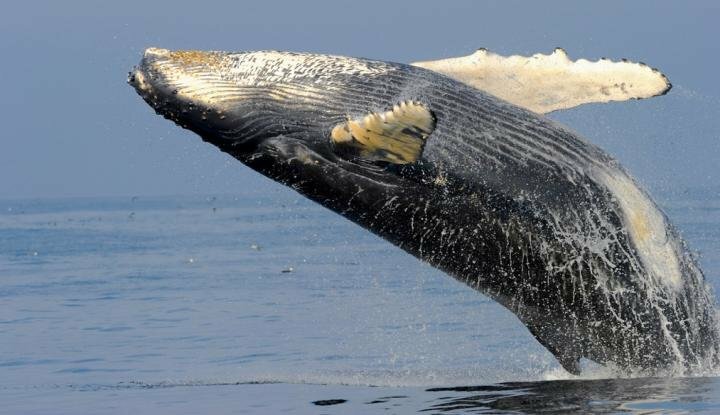 "Future challenges in Australia will be to protect a marine environment that contains growing humpback whale populations and to develop alternative approaches to ecological sustainability," said Dr. David Johnston of Duke University USA, co-author of the study. "There will be increases in interactions with maritime users, including acoustic disturbance from noise, collisions with vessels, entanglements in fishing gear, habitat destruction from coastal development and cumulative interactions with the whale-watch industry. Therefore, adaptive management actions and new approaches to gain public support will be vital to maintain the growth and recovery of Australian humpback whales and prevent future population declines." Summarizing the key message of the review study, Prof. Bejder stated, "The recovery of the iconic humpback whales of Australia delivers both hope and optimism, as well as an opportunity to celebrate success at two levels: (1) the successful implementation of contentious international management actions to protect marine species; and (2) the wise and significant investment in conservation science, illustrating how society can respond to strong conservation interventions to achieve outcomes that are not simply for immediate, human material gains. While significant (often seemingly insurmountable) obstacles stand in the face of conserving many marine species and ecosystems, humpback whales provide an opportunity to embrace a conservation success." Are you aged between 17 and 24 and interested in gaining practical training and experience while being paid to work in your local environment? Or do you know someone who might be? If so, find out about the Australian Government's Green Army programme and think about joining the growing band of local people working on local projects to help protect Australia's environment. Potential project hosts and young Australians are invited to Community Information Sessions throughout August to find out more about how they can get involved in the Australian Government's Green Army Programme. In its first year, the Green Army has been a huge success with more than 700 projects announced since the programme commenced. More than 330 projects have already rolled out across Australia. Even more will hit the ground in the coming year as the Green Army builds to 1,500 projects in 2018-19. We want to ensure that as many young people and local communities as possible can benefit from this highly successful programme. The Green Army is a six-month programme for 17-24 year olds to train and work in the environment. Green Army projects include restoring native vegetation, protecting animal habitats and regenerating wetlands. The information sessions will be at 22 locations across all states and territories. They provide an opportunity for communities to find out more about hosting a Green Army project and for interested young people information on how to join a team as a Participant. Community organisations will be able to apply for new projects as part of Round Four of the Green Army to be announced shortly, following the very popular first three rounds of the programme. I encourage all local community organisations to attend these sessions to hear directly from representatives from the Department of the Environment and Green Army Service Providers who will be available to answer any questions about the programme. For the full schedule of information sessions and to find out more about hosting projects or how to join a Green Army team visitwww.environment.gov.au/green-army. July 28, 2015 - A new analysis of 35 years of meteorological data confirms fire seasons have become longer. Fire season, which varies in timing and duration based on location, is defined as the time of year when wildfires are most likely to ignite, spread, and affect resources. The analysis, led by U.S. Forest Service ecologist Matt Jolly, focused on four meteorological variables that affect the length of fire season: maximum temperatures, minimum relative humidity, the number of rain-free days, and maximum wind speeds. A combination of high temperatures, low humidity, rainless days, and high winds make wildfires more likely to spread and lengthens fire seasons. Jolly and colleagues used data from NOAA's National Center for Environmental Prediction Reanalysis, NOAA's NCEP-DOE Reanalysis, and the European Centre for Medium-Range Weather Forecasts Interim Reanalysis. The researchers found that fire weather seasons have lengthened across one quarter of Earth's vegetated surface. In certain areas, extending the fire season by a bit each year added up to a large change over the full study period. For instance, parts of the western United States and Mexico, Brazil, and East Africa now face wildfire seasons that are more than a month longer than they were 35 years ago. The authors attribute the longer season in the western United States to changes in the timing of snowmelt, vapor pressure, and the timing of spring rains -- all of which have been linked to global warming and climate change. On the other hand, the easing of droughts in Western Africa and the Pacific coast of South America likely contributed to the shortening of fire seasons in those areas. In some parts of the world, tough fire seasons have also become more frequent. "The map at the top of the page depicts steady trends in season length..." explained Jolly. While many of the same areas that saw fire seasons grow progressively longer also faced more frequent fires seasons, the two measures differed significantly in some areas. Australia, for instance, has not experienced an increase in the length of fire seasons. However, eastern Australia has seen the years with long and severe fire seasons become more frequent. It is important to note that although the study shows many environments have become more prone to fires, it does not demonstrate that the wildfires burned more intensely or charred more acres. That's because even with longer and more frequent fire seasons, other factors can affect whether fires occur and how they behave, such as: whether lightning or human activity ignites the fires; whether humans attempt to suppress them; and whether there is enough fuel to sustain them. Ben is an Australian bodyboarder who was world champion in 2005, 2007 and 2013. His 2007 victory came after placing second in the 2006 Pipeline final. He has finished #2 overall on the World Bodyboarding Tour several times. 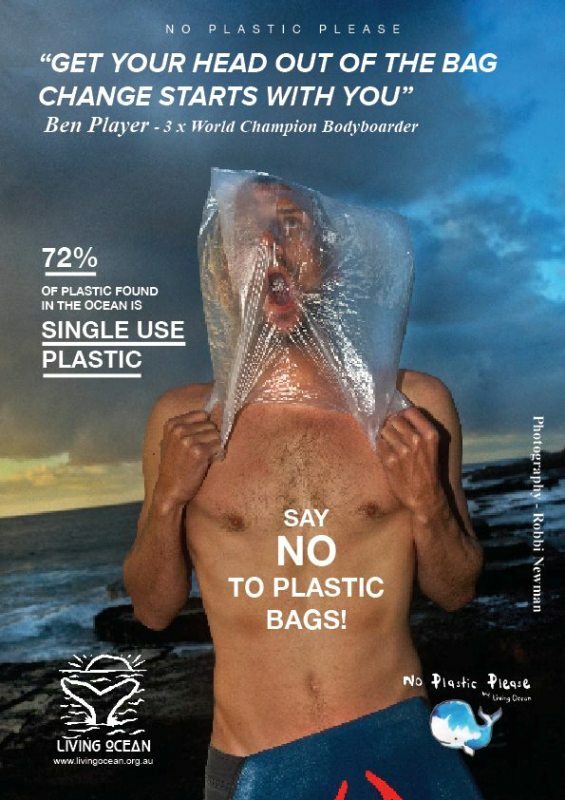 Ben is passionate about life in the oceans and a crusader against plastic pollution. Ben first teamed up with Living Ocean in 2011 to combat plastic pollution after experiencing first hand the impact of plastic waste all over the worlds oceans. Robbi is a world renowned photographer and a co founder of Living Ocean. He was an environmental writer and photographer for Tracks magazine in Whale Beach in the early 70's, also studied Natural Resources at UNE but went on to become a global photographer for some of the leading clients around the globe. This global perspective has fuelled his concerns about life in our oceans and all life on the planet. 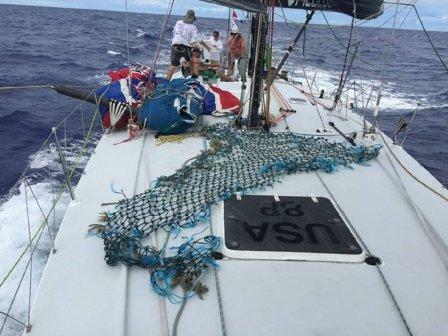 Erratic winds and electrical storms are no longer the only factors complicating the odds in the 2225 nautical mile transpacific yacht race. Race participants, many of whom are about to help conduct The Ocean Cleanup’s Mega Expedition, sailed into large amounts of plastic pollution about halfway their racing course between California and Hawaii. The Mega Expedition is a collective measuring effort in which a mainly volunteer fleet will make approximately 50 transects in the area with the densest accumulation of marine plastic: the North Pacific Subtropical Gyre. After Transpac 2015 ends, dozens of racing crews will turn around and sail back to the US West Coast under The Ocean Cleanup flag, helping collect more data on plastic pollution than has been gathered in the past 40 years. Meanwhile, the race isn’t quite over yet for all vessels, and trash is proving to be a factor in the competition. ‘Lots of debris in the water,’ reported Bob Pethwick's Rogers 46 Bretwalda 3. Wild Oats had a man permanently stationed on the foredeck to alert the helmsman of obstacles in the water. ‘It will be even tougher when it’s dark,’ Disney said before completing the race. A proposal to extend the approved duration of mining operations at the Sunnyside Coal Project will be on exhibition from today for community feedback.  partially backfill the mine void with additional waste rock upon completing mining. To make a submission or view the environmental impact statement (EIS), visit www.majorprojects.planning.nsw.gov.au. Submissions can be made from Wednesday 22 July 2015 until Wednesday 5 August 2015.  Nature Conservation Council, Level 2, 5 Wilson Street, Newtown. July 27, 2015 - A 20-year study by James Cook University scientists has found a strong link between diabetes and tuberculosis in tropical Australia. Despite massive improvements in sanitation and antibiotic coverage over the last century, TB still remains the leading bacterial cause of death worldwide. Previous studies conducted in developing countries where TB is endemic have demonstrated the connection between the two diseases. But the study by JCU and Townsville Hospital researchers, published in theAmerican Journal of Tropical Medicine and Hygiene, has for the first time established a connection between diabetes and TB much closer to home. Scientists looked at data from the Townsville Hospital over a 20-year period (1995-2014) and found patients with diabetes were much more likely to develop TB than the general population. The study also revealed Indigenous Australians and overseas-born patients, primarily from Papua New Guinea, were over-represented in both the stand-alone TB group and in the TB-diabetes group. "If a person has diabetes they are up to seven times more likely to contract TB compared to the general population," said Tahnee Bridson, a researcher involved in the project. According to the Director of Microbiology at Townsville Hospital, Dr Robert Norton, people with diabetes suffered from "immune dysregulation" and were more prone to contracting the deadly infection. "You can have TB your whole life and not know it, but if you suffer from diabetes and your immune system is not functioning well, it can flare up." It had been assumed that higher standards of care for diabetic patients in Australia and the relative rarity of TB meant there was not as strong a link between the two ailments. But the JCU study showed that while the overall numbers were lower, the proportion of diabetics developing TB was the same as in less-developed countries. Dr Norton said the findings support the view that there must be screening of patients with diabetes for latent TB in any setting. "It is especially important because the prevalence of type two diabetes is increasing at a very significant pace," he said. Scientists at JCU are developing experimental models that will enable them to study the interaction between the bacteria that causes TB and immune cells with similar properties to those from patients with diabetes. "Without such models we will not be able to study the defects that make patients with diabetes more susceptible to TB," according to Professor Natkunam Ketheesan. "Such models are useful in developing treatment protocols and prevention strategies." It is estimated that if diabetes could be reduced by 35% globally, 1.5 million TB deaths and 7.8 million infections could be prevented, making this an important area where further local research is warranted. The National Library of Australia is pleased to announce that the following newspapers, digitised by the National Library through the Australian Newspaper Plan program, have been recently added to Digitised newspapers and more on Trove. Many of these newspapers are currently being added to Trove and further issues will become available shortly. UNSW will lead Australia’s first medical cannabis trial to assess whether cannabis products can enhance the quality of life for adults with terminal cancer in the final stages of their life. The trial, announced by NSW Premier Mike Baird and Minister for Medical Research Pru Goward today, will be conducted by a research team led by UNSW Conjoint Associate Professor Meera Agar, from theSouth Western Sydney Clinical School. Associate Professor Agar, who is also Clinical Trials Director with the Liverpool-based Ingham Institute, said the trial will assess whether two types of cannabis products, vaporised leaf cannabis and a pharmaceutical, can improve appetite. “The trial will also examine whether the cannabis products can alleviate distressing symptoms including fatigue, low appetite, altered taste and smell for food, low mood, weight loss, nausea, insomnia and pain relief,” Professor Agar said. The trial will be undertaken in two parts. Part one of the trial, known as a Phase 2 study, will enroll 30 patients from the Calvary Mater Newcastle Hospital. Researchers will assess whether the product can be inhaled as a vapour, if it is well tolerated by patients and any unwanted side effects. They will also assess the ideal dose of the potential cannabis product and how often it should be given to patients. Patients will begin treatment in early 2016 with initial results expected by the end of that year. The second part of the trial, known as a Phase 3 study, will be informed by the results of Phase 2 and may enroll a larger number of patients in a number of major hospitals across NSW. In this part of the trial, patients will be randomly assigned to three groups with each receiving a cannabis product or a placebo. NSW Premier Mike Baird said the trial will play a critical role to help better understand what role medical cannabis can play in alleviating symptoms and pain in terminally ill patients. “We do not want patients or carers having to play pharmacist – that is why it is so important to explore the safest and most effective ways we can deliver compassionate care and improve the quality of life,” Mr Baird said. Ingham Institute Research Director Professor Michael Barton OAM congratulated Professor Agar and said the announcement represented a huge leap forward with respect to the treatment options available to terminally ill cancer patients in NSW. "Advancing and accelerating new treatment options for cancer patients in palliative care to enhance end of life care is a very difficult area of cancer research," Professor Barton said. "Associate Professor Agar is at the forefront of this very challenging area so this announcement is big news for the progression of her research here at the Ingham Institute and for the management and clinical wellbeing of the terminally ill in NSW." July 29, 2015 - Researchers at Barrow Neurological Institute have spent years of medical sleuthing across three continents to uncover a brain surgery that changed history. After more than two-years of international investigation, the scientists have concluded that Napoleon likely would have conquered Russia in 1812 if not for the life-saving brain surgery performed on Russian general Mikhail Kutuzov by the French surgeon Jean Massot, who operated on Kutuzov after bullets twice passed through his head. "It's a story of how medicine changed the course of civilization," says Mark C. Preul, MD, PhD, and chair of neurosurgery research director at Barrow, which is part of Dignity Health St. Joseph's Hospital and Medical Center. Dr. Preul led the research team in collaboration with fellow Barrow Neurological Institute researchers Dr. Sergiy V. Kushchayev and Dr. Evgenii Belykh and five other researchers. The study, titled "Two bullets to the head and an early winter: fate permits Kutuzov to defeat Napoleon at Moscow," was published in the Journal of Neurosurgery. For more than two centuries, history has focused on Kutuzov's incredible story. He survived being shot in the head in 1774 and 1788 and went on to become one of Russia's legendary heroes by repelling Napoleon's invaders. His story has been called a miracle. But by combing primary sources in Russian and French, the Barrow team found that Massot played a critical role in the drama, employing techniques that foreshadowed modern neurosurgery to help Kutuzov survive what appeared to be mortal wounds. "We wanted to find out what really happened and basically identify this surgeon who saved Mikhail Kutuzov," Dr. Preul says. "Massot's facts were somewhat buried. He is at the vanguard of surgical technique. He uses incredibly modern techniques that we still use today." What they found was evidence that the first bullet wound, sustained in a battle with the Turks in Crimea in 1774, had destroyed Kutuzov's frontal lobe. That explained Kutuzov's erratic behavior after the injury -- but it also provided clues to the brilliant strategy he used to defeat Napoleon and his seemingly invincible Grande Armée. Kutuzov's injury most likely impaired his ability to make decisions. Eye witnesses remark about his altered personality after the first gun shot wound. So instead of challenging Napoleon's superior forces in the autumn of 1812, Kutuzov put off a confrontation. He ordered Moscow burned and fled with his army to safety east of Moscow. Napoleon's army pursued, invading Moscow, but lacking food and supplies, succumbed to a horribly brutal early Russian winter. Napoleon abandoned the army in December and returned to Paris in defeat. "The other generals thought Kutuzov was crazy, and maybe he was," Dr. Preul says. "The brain surgery saved Kutuzov's life, but his brain and eye were badly injured. However ironically the healing resolution of this situation allowed him to make what turned out to be the best decision. If he had not been injured, he may well have challenged Napoleon and been defeated." Dr. Preul says some questions about Kutuzov's injuries -- and Massot's operations on them -- can't be completely answered without a medical examination. Kutuzov's body has not been examined since his autopsy shortly after his death in April 1813. But this much is clear: Kutuzov would not have been in command without Massot's efforts. "Although some would say fate allowed the brilliant Russian general, who became the personification of Russian spirit and character, to survive two nearly mortal head wounds, the best neurosurgical technique of the day seems to have been overlooked as a considerable part of Kutuzov's success," the researchers wrote. July 28, 2015 - Theoretical physicists at the Université libre de Bruxelles have developed a fully-symmetric formulation of quantum theory which establishes an exact link between asymmetry and the fact that we can remember the past but not the future. The laws of classical mechanics are independent of the direction of time, but whether the same is true in quantum mechanics has been a subject of debate. While it is agreed that the laws that govern isolated quantum systems are time-symmetric, measurement changes the state of a system according to rules that only appear to hold forward in time, and there is difference in opinion about the interpretation of this effect. Now theoretical physicists at the Université libre de Bruxelles have developed a fully time-symmetric formulation of quantum theory which establishes an exact link between this asymmetry and the fact that we can remember the past but not the future -- a phenomenon that physicist Stephen Hawking has named the "psychological" arrow of time. The study offers new insights into the concepts of free choice and causality, and suggests that causality need not be considered a fundamental principle of physics. It also extends a cornerstone theorem in quantum mechanics due to Eugene Paul Wigner, pointing to new directions for search of physics beyond the known models. The findings by Ognyan Oreshkov and Nicolas Cerf have been published this week in the journal Nature Physics. The idea that our choices at present can influence events in the future but not in the past is reflected in the rules of standard quantum theory as a principle that quantum theorists call "causality." In order to understand this principle, the authors of the new study analyze what the concept of choice in the context of quantum theory actually means. For example, we think that an experimenter can choose what measurement to perform on a given system, but not the outcome of the measurement. Correspondingly, according to the principle of causality, the choice of measurement can be correlated with outcomes of measurements in the future only, whereas the outcome of a measurement can be correlated with outcomes of both past and future measurements. The researchers argue that the defining property according to which we interpret the variable describing the measurement as up to the experimenter's choice, while the outcome not, is that it can be known before the actual measurement takes place. From this perspective, the principle of causality can be understood as a constraint on the information available about different variables at different times. This constraint is not time-symmetric since both the choice of measurement and the outcome of a measurement can be known a posteriori. This, according to the study, is the essence of the asymmetry implicit in the standard formulation of quantum theory. "Quantum theory has been formulated based on asymmetric concepts that reflect the fact that we can know the past and are interested in predicting the future. But the concept of probability is independent of time, and from a physics perspective it makes sense to try to formulate the theory in fundamentally symmetric terms," says Ognyan Oreshkov, the lead author of the study. To this end, the authors propose to adopt a new notion of measurement that is not defined only based on variables in the past, but can depend on variables in the future too. "In the approach we propose, measurements are not interpreted as up to the 'free choices' of agents, but simply describe information about the possible events in different regions of space-time," says Nicolas Cerf, a co-author of the study and director of the Centre for Quantum Information and Communication at ULB. In the time-symmetric formulation of quantum theory that follows from this approach, the principle of causality and the psychological arrow of time are both shown to arise from what physicists call boundary conditions -- parameters based on which the theory makes predictions, but whose values could be arbitrary in principle. Thus, for instance, according to the new formulation, it is conceivable that in some parts of the universe causality may be violated. Another consequence of the time-symmetric formulation is an extension of a fundamental theorem by Wigner, which characterizes the mathematical representation of physical symmetries and is central to the understanding of many phenomena, such as what elementary particles can exist. The study shows that in the new formulation symmetries can be represented in ways not permitted by the standard formulation, which could have far-reaching physical implications. One speculative possibility is that such symmetries may be relevant in a theory of quantum gravity, since they have the form of transformations that have been conjectured to occur in the presence of black holes. "Our work shows that if we believe that time symmetry must be a property of the fundamental laws of physics, we have to consider the possibility for phenomena beyond those conceivable in standard quantum theory. Whether such phenomena exist and where we could search for them is a big open question," explains Oreshkov. July 28, 2015 - Physicists now better understand wave systems exhibiting unusual disturbances by identifying growing localised patterns as early indicators of such disturbances. The team focused on analysing the dynamics of a specific kind of disturbance, called realistic spatially localised perturbations. They relied on the theory of evolution of localised disturbances bifurcating from unstable basic state, also known as the theory of absolute and convective instabilities. This approach has been developing since the early 1950s. It makes it possible to compute how localised disturbances are amplified in space and to determine their speed as a group. Coulibaly and colleagues then combined this theoretical approach -- including numerical and analytical treatment -- with signal processing tools. To do so, they relied on two types of initial conditions: one with a localised disturbance and one with random noise acting as disturbance. They found their predictions were in excellent agreement with numerical results. Therefore, their findings may contribute to a better understanding of the complex dynamics of systems subjected to such disturbances. For example, they could be used to better understand waves appearing on fluid surfaces, whose evolution is influenced by gravity, or light waves propagated in optical fibres. According to Microsoft researchers, this is the first solution that allows you to capture anything in three dimensions and send it over the internet so anyone can see it from any point of view, just like the holograms in Star Wars. Now we only need a projection system that doesn't require us to use the mouse—although you will be able to use it with something like the HoloLens or the Oculus Rift. From the research abstract: "Our system records performances using a dense set of RGB and IR video cameras, generates dynamic textured surfaces, and compresses these to a streamable 3D video format. Four technical advances contribute to high fidelity and robustness: multimodal multi-view stereo fusing RGB, IR, and silhouette information; adaptive meshing guided by automatic detection of perceptually salient areas; mesh tracking to create temporally coherent subsequences; and encoding of tracked textured meshes as an MPEG video stream. Quantitative experiments demonstrate geometric accuracy, texture fidelity, and encoding efficiency. We release several datasets with calibrated inputs and processed results to foster future research." 29th July 2015 - NSW Premier Mike Baird today announced a state-wide audit of prayer groups in public schools, in response to concerns about a small number of students being potentially exposed to violent extremist ideologies. “Our schools should be, and are, havens of tolerance, places where students can explore the reaches of imagination and knowledge,” Mr Baird said. Mr Baird also announced that a joint memorandum from the NSW Department of Education and NSW Police Force will be issued today to all public school principals, to reinforce their obligation to report information in accordance with the Department’s Incident Reporting Policy. Last month the Premier announced the NSW Government will spend $4 million to build the strength of our multicultural society and protect young people from extremist influences. The Government has already invited submissions on this Countering Violent Extremism program and is consulting community leaders across the state. “Our schools, our police and other authorities are operating in a new and different world, as far as risks to our young people are concerned,” Mr Baird said. NSW Police Force will also provide a counter-terrorism briefing to Departmental officers, the NSW Secondary Principals’ Council and the NSW Primary Principals’ Association executive. Police and the Department of Education have responded to a very small number of incidents in the past year, including at Epping Boys High. With each of these current investigations, NSW Police Force can assure the community there is no current threat to the safety of students. Protecting young people from extremism: Have your say on one of the most challenging social policy questions of our time. The NSW Government is consulting with communities on how we can build on the strengths of our multicultural society and work together to protect our young people from hateful and violent influences by offering safe community connections and support. The Minister for Multiculturalism, the Hon. John Ajaka MLC, wants to hear directly from the community. He has invited submissions to inform the scope and nature of a new $4 million program announced in the 2015 NSW Budget, to be implemented over the next two years. The Minister wants to learn from community experiences and perspectives, and build on successful community practices and partnerships. Following the events at Martin Place in December last year, the people of NSW showed the world how we respond to violence and terror with human kindness, compassion and multicultural unity. It is important we keep working together in this way to protect young Australians from hateful and violent influences and offer them opportunities to be involved fully in our society. Please download the submission form to share your views with the NSW Government. Once you have filled in the submission form, save it and submit it as an attachment by email to submissions@multicultural.nsw.gov.au by 5pm Friday 14 August 2015. 27 JULY 2015 - A new breed of influential community leaders in Australia are emerging as the most respected members of society. This is the view of Professor Giles Hirst who has been appointed as The Australian National University's (ANU) inaugural Chair of Leadership. "It's not the people in suits and ties at Parliament House who are the most respected members of the community," Professor Hirst said. "There's a really strong groundswell for community leadership being a very effective means to change people." Professor Hirst believes Australia's political leaders need to focus less on polls and media, and be given more freedom to lead in their own way. "When you look at the quagmire of what's happening in politics at the moment, there's many good politicians but they're stuck responding to pressures rather than setting their own course," he said. "It's intense, and very understandable. If you want to get in front in the popularity polls you've got to respond to stories, you can't leave them hanging out there." Professor Hirst said he hoped to use his position of Leadership Chair at ANU to develop leaders for the future, and build the capabilities of current leaders. "Globally there is a huge amount of cynicism towards leadership, which is in part due to a culture of telling people how they should lead rather than allowing them to do so in their own way," he said. Professor Hirst said his own leadership style had been built not only through academia but also through some hard life lessons. In 2001 he headed to the UK to work in the finance sector, but when the September 11 attacks hit, he found himself out of work. "There was a time when I was effectively homeless. It was a tough period of my life," he said. "You learn a lot in a classroom but sometimes the best lessons in life aren't taught there. The experience taught me a lot of resourcefulness that I hadn't previously had to use." Professor Hirst has joined the ANU College of Business and Economics' Research School of Management. Prior to joining ANU, Giles was an Associate Professor within the Department of Management at Monash University. He is a leading researcher in the areas of creativity, innovation and social and organisational networks. Professor Hirst will give his inaugural lecture on 22 September. The lecture will focus on how we understand our life experiences and use these to enhance our own leadership. 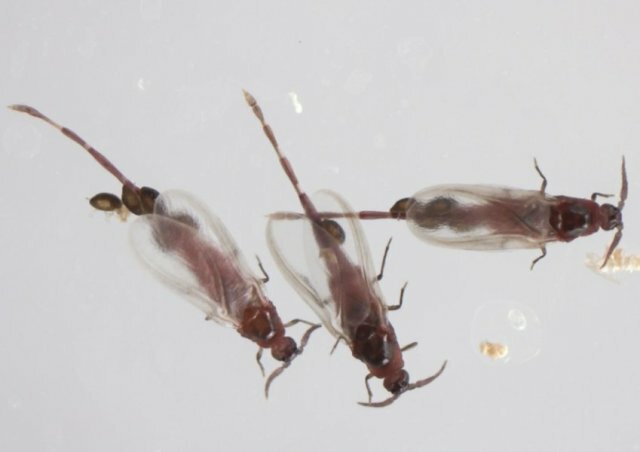 July 27, 2015 - A University of Queensland graduate has identified a previously unknown species of insect living within reach of Australian suburbia. UQ School of Biological Sciences Honours graduate Thomas Semple investigated the insect responsible for bush coconuts in South East Queensland last year as part of his studies. "Bush coconuts, also known as bloodwood apples, are a type of bush tucker," Mr Semple said. "Although their names sound like fruit, they are actually growths on plants -- galls -- triggered by the feeding of a very strange insect." Mr Semple said until recently there were only two known species of the insectCystococcus that lived inside these galls. They typically occur in the savannah woodlands of northern Australia, but populations of different bush coconuts were recently found in Crows Nest National Park west of Brisbane, and in Toohey Forest in the heart of Brisbane. Because they were found well outside their normal range, Mr Semple set about determining whether these populations represented a new species. "We collected samples of the newly discovered populations from around South East Queensland, as well as the two other species from right across northern Australia," Mr Semple said. "Using a combination of physical characteristics and DNA sequence data, I was able to determine that it was a species new to science." Mr Semple said the insects displayed sexual dichronism, with females giving birth first to males, and then to females once the males had almost matured inside the gall. "The wingless female nymphs cling to their winged adult brothers, hitching a ride out of the maternal bush coconut gall when the males fly to find mates," Mr Semple said. "This bizarre behaviour is called intersexual phoresy." Mr Semple, with help from collaborators in Australia, the United Kingdom and the US, has published his findings in the international journal Invertebrate Systematics. He has named the newly recognised species Cystococcus campanidorsalis, with the second part of the scientific name referring to the insect's bell-shaped back that plugs the entrance to the gall. "Insects are an incredibly diverse group of organisms, and this discovery shows that there are new species literally hiding in plain sight -- right in the middle of Brisbane and along popular walking tracks," Mr Semple said. "If you look closely enough, you'll find interesting insects everywhere, and maybe even something that no one else has seen before." Wednesday, 29 July 2015 - At least half of those with an intellectual disability across the world do not have a formal diagnosis. However, thanks to new DNA sequencing technology, along with the expertise and perseverance of University of Adelaide researchers over 45 years, dozens of Australians with intellectual disability now have a name for their condition. The research was published this month in the American Journal of Human Genetics. Dr Raman Sharma, from the University of Adelaide’s Robinson Research Institute, discovered a novel gene, which when mutated, causes intellectual disability that affects 1 in 50 individuals. “Protein coded by the THOC2 gene is part of a large protein complex that is fundamental for all living human cells and essential for normal development and function,” says Dr Sharma, lead author on the paper. “In collaboration with European researchers, we have identified four mutations in the THOC2 gene in four families. The defected gene is found in males who have an intellectual disability – females in the families are carriers of the gene mutation but are not affected by the condition. “As well as identifying the gene, we also discovered that it is partial loss of function of the THOC2 gene that leads to the altered brain function and specific facial characteristics associated with this intellectual disability,” he says. Dr Sharma says hundreds of defected genes have been identified in the quest to learn more about neurological disorders but the team at the University of Adelaide is taking the next step – looking at why certain mutations cause what they cause. “Advanced genetic technologies have accelerated the discovery of genes responsible for diseases like epilepsy, autism, intellectual disability and other neurological disorders,” says Dr Sharma. “But the number of genetic conditions in which we have functional understanding of the mutated genes can be counted on two hands. “For many reasons it’s important to know about familial gene mutations but that's just the first step. “Before we can develop a treatment for a condition, we first need to understand what is going on in the body and discover how a specific defected gene causes a particular disease,” he says. “Our lab is one of the few in the world looking at the molecular and cellular pathways altered by the gene variants. Our research is an upcoming field of genetics, which we hope will lead to the discovery of treatments for debilitating intellectual disabilities,” he says. This research was supported by the National Health and Medical Research Council and the Channel 7 Children’s Research Foundation. Wednesday, 29 July 2015 - How can you accurately count the number of endangered Carnaby’s black-cockatoos across more than 250 sites spanning several thousand square kilometres? The answer is you can’t – at least not by yourself. With the help of several hundred ‘citizen scientists’ it has been possible to measure the cockatoos’ decline for the last five years as part of the Great Cocky Count in and around Perth, Western Australia. As part of the count, bird numbers at known night roost sites are surveyed by hundreds of volunteers on a single evening in April for 30 minutes before and after sunset. So-called citizen science has often been called into question in the past for its lack of accuracy and quality. However, new research from the WA Department of Parks and Wildlife, Edith Cowan University (ECU) and Birdlife Australia has found the annual survey provides a highly valuable estimate of one of WA’s most endangered species. The study, published in Oryx: The International Journal of Conservation, found the Great Cocky Count provides the only scientifically credible estimate of Carnaby’s black-cockatoo population and their ongoing decline. ECU School of Natural Sciences Professor of Environmental Management Will Stock said the citizen scientists provided the only practical way to estimate the number of cockatoos around Perth. “It simply would not be possible to undertake this kind of research project without the help of those volunteers,” he said. Professor Stock said the charismatic nature of species like the Carnaby’s black-cockatoo made it possible to inspire volunteers to take part in the research project. “This project has shown the population of Carnaby’s black-cockatoos have been declining at a rate of 14 per cent per year – and that’s a very worrying trend,” he said. The research analysed data from the Great Cocky Counts for five years between 2010 and 2014. •	Must be a well-designed project to answer a specific question rather than collecting data for the sake of it. The important message is that citizen science studies must be designed by someone with a science background but simple enough for the general public to carry out, Professor Stock said. Results from the 2015 Great Cocky Count are expected soon. Top: Carnaby's black-cockatoos are endangered in Western Australia. Pic Jennie Stock.